* Children's fiction, not really applicable to this listing, but is an entry for 'Q'. Correctly listed at Books z - Surf fiction. 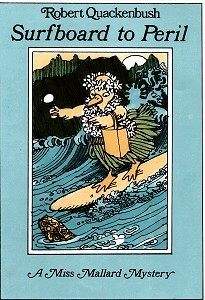 This is not a complete list of surfing books, only books read and reviewed for this site are listed. - Steven Whelan's comprehensive list of books, film, video and magazines, listed alphabetically. - excellent listing of books and journals by Daved Marsh USA, listed by category. From USA..